Having a perfectly crafted Sugar Baby profile is crucial to your success as a Sugar Baby looking for potential matches online which is why it is important to know what to write in your profile. If you have just entered the sugar bowl and having a hard time finding your kind of Sugar Daddy, it is quite possible that your Sugar Baby profile is missing something. 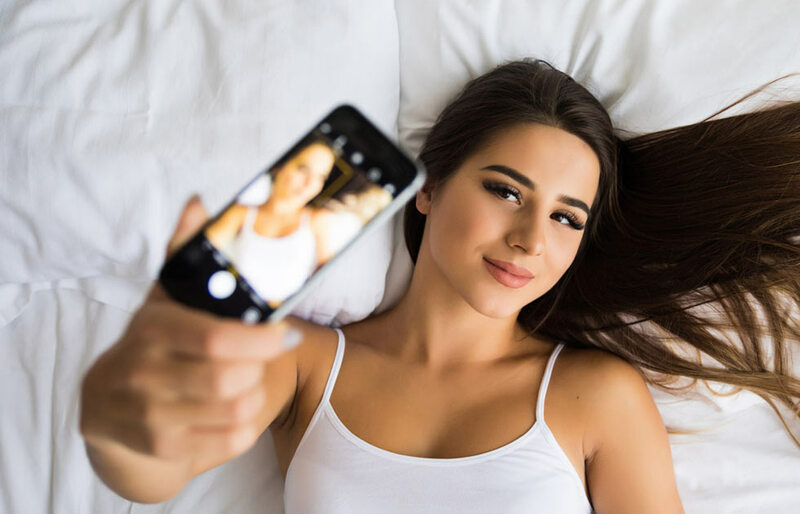 We’ve listed a few tips and to-dos when crafting your Sugar Baby profile which would help your online dating profile get noticed and land your perfect Sugar Daddy. Each and every word on your Sugar Baby profile will help your potential Sugar Daddy make a sketch of you in his mind. He will judge you based on the words written on your profile and try to figure out what kind of a person you are based on what how you’ve described yourself. Your profile shouldn’t be hard to decode. The words should have a certain flow to them which should be easy to figure out and read. When filling up your dating profile with content, write things which would help him learn about you as if he were sitting right next to you. Also, don’t make it all about yourself in your sugar dating profile. Remember, sugar relationships are mutually beneficial relationships which is why making your profile revolve around you might not be the best idea. Use words that would make him imagine of you and him as partners and help him get the overall feel of how your relationship could turn out to be if you’re ever together. Be straightforward and honest about your expectations. If you’re even a slight bit dishonest about your expectations, they will rise up sooner or later and hurt your relationship. Your profile picture is the very first thing your potential Sugar Daddy will see on your profile. If your picture is of low quality or is not showing who you are clearly, that might be the end of his interest in your profile. Spend some time to choose a great looking profile picture for your sugar dating profile. Never include pictures where you have a group of people standing beside you. He needs to see who you are, not figure out which one is you from within a group of your friends. This may come as a surprise to some, but while writing about what you like is great, jotting down every interest yours is a bad idea. Your profile is your ticket to landing a Sugar Daddy and if you’ve talked about how much you like getting your nails done on your profile, it won’t really benefit your cause. List those interests that have the potential of being fun for both of you. Help him find the common ground between you and him. Describe yourself exactly as you are so there are no disappointments once you actually meet. If you choose to just leave this part, there are chances that you would be wasting his and your time as you both would have no idea of what you’re like. Let them know if you’re looking for something casual or long-term. Would like traveling a lot and would you be ok dating someone who smokes a lot or would you rather be with a non-smoker. These small details make a lot of difference when choosing a partner online. No one wants a Sugar Baby who is self-centered and doesn’t seem like someone you can have a great time with. Being excessively assertive about what you need may seem like you’re demanding something which can put off a Sugar Daddy looking for a mutually beneficial relationship. This is the reason you should show your flirty side too when filling the details on your Sugar dating profile. This would show that once he meets you, you are the kind of girl that can put in the work from her side to make the relationship work. Always be confident in your skin; this should show on your sugar dating profile too. Write what you want from a Sugar relationship but also keep it the back of your mind that the relationship you’re signing up for would be mutually beneficial one. Sugar Daddies want Sugar Babies who are clear about what they want from an arrangement.